Find out how Hertz reconnect with customers who abandon a reservation online. Many car hire operators face the same challenge online: booking abandonment. The average booking abandonment rate for car hire sites is currently more than 75%. 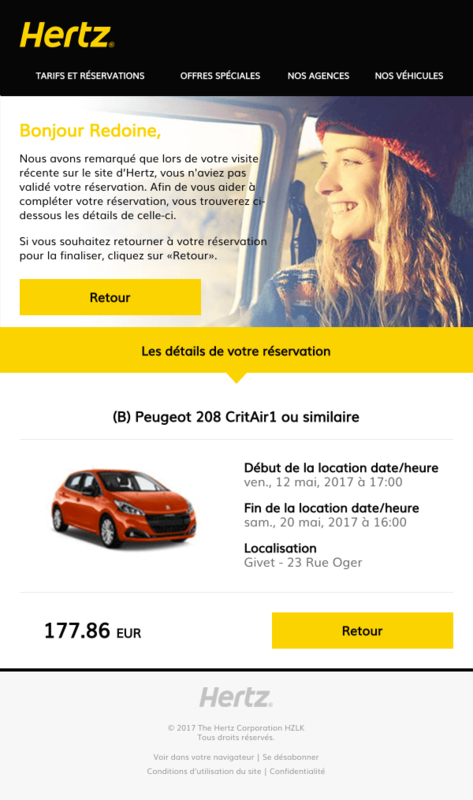 Hertz approached SaleCycle to setup an email campaign to convert their abandoning visitors into customers. The Hertz creative is a great example of remarketing email design, which is both responsive and dynamic. 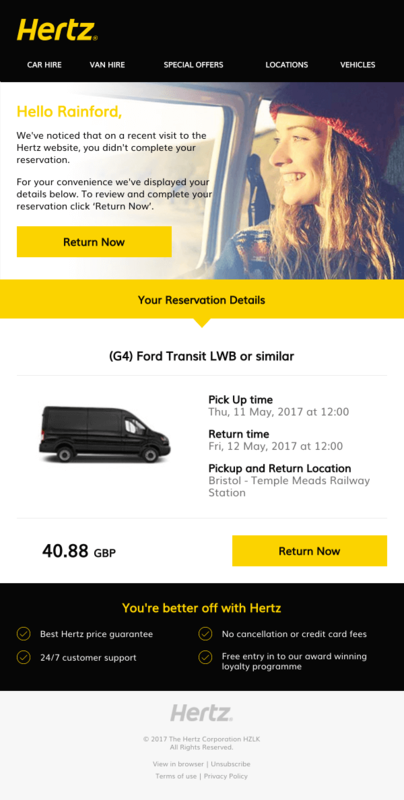 With extra sparkle provided by Hertz’ distinctive yellow branding, the email focuses on the customer experience. It provides full details of the abandoned booking, making it as simple as possible for customers to return and complete the reservation. Banners change depending on the region, and key brand messages, making it a truly dynamic email. Great remarketing has put Hertz well on the road to success! 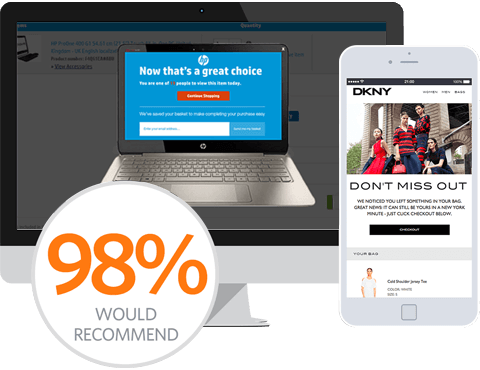 The partnership between SaleCycle, Reprise Media and BrightTag helped to ensure the campaign was setup with the minimum of fuss. By integrating with the Hertz booking engine, SaleCycle has been able to capture real time data, using this to contact people who abandoned their reservation and convert these hot prospects into valued customers. The campaign has achieved fantastic results throughout, with open rates in excess of 58% and click rates of 28% proving the importance of timing and great email design. Working with SaleCycle has not only improved our numbers, but it has improved our overall customer experience. They have an impeccable track record for success, and pay close attention to the details.